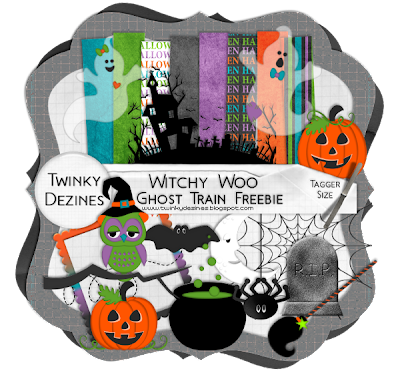 Twinky Dezines: The Ghost Train has arrived!!! I hope you like it, don't forget to visit the other sites to grab the rest. This has got to be the biggest Train in History!!! Thank you so much for this Freebie. I want to let you know that I posted a link to your blog in CBH Digital Scrapbooking Freebies, under the Page 1 post on Oct. 01, 2009. Thanks again. Have to have your owl!! :-) Thank you! Thank you for your wonderful part of the Ghost Train. Hope that you have a great day. thanks for sharing this awesome contribution to the train!